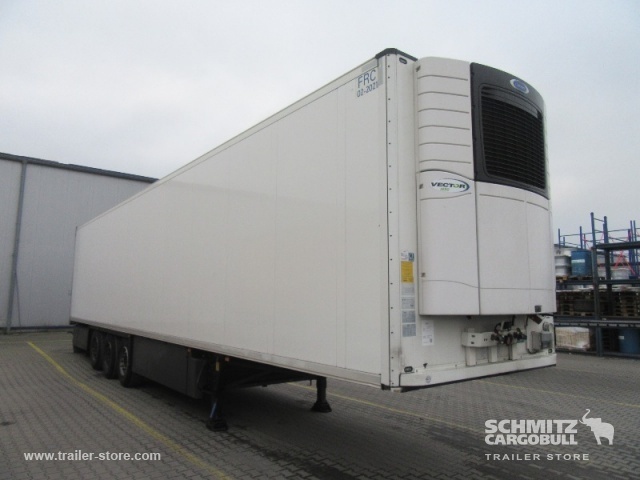 Check the technical data of the unit, picked out from the catalog of SCHMITZ refrigerator semi-trailer. This piece of special equipment was produced in 2015. Chassis configuration: suspension: air, number of axles: 3, brakes: disc, ABS, EBS. Body: loading length: 13410 mm, loading width: 2490 mm, loading height: 2650 mm, loading volume: 88.00 m³. Good luck in your deals with Cargobull Trailer Store GmbH!